It’s late and you are walking home at a brisk pace in an attempt to beat that ominous feeling that has been at the back of your neck. You are only a few streets from your house and suddenly you spot a little black cat making its way towards you, angled to cross your path. If you were like me, you would stop, take in the kitty and try to find its owner… But thousands people would have crossed the street in order to avoid any bad luck that might come their way. Cats certainly are unique and amazing creatures. They are soft, fuzzy and pleasant, and some believe that they can be bristling, spitting balls of razor-sharp teeth and claws. 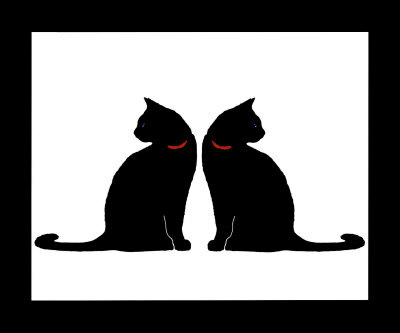 Seeing a black cat is –depending on the country you are in at the time– considered bordering on unlucky times, but having a black cat cross your path is considered by many to be an omen of doom; not only is it bad luck, it is VERY bad luck. From there the superstition goes as far as belief that the black cat is a demon in disguise trying to cut off a person’s access to heaven. What would drive people to believe such evil could come from a kitty cat? The actual origins of the black cat crossing your path superstition is a bit of a mystery, but there are a few ideas. Cat’s ability to move silently and practically undetected put some people on edge, and their association with Egyptian religion added to the uneasiness in some Christian cultures. From here it was said that cats, and black cats in particular, acted as “familiars” to witches, creatures that are imbibed with an evil, otherworldly sentience that give power to their master. Cats are sneaky, clever, agile hunters with a strong streak of independence, more reasons to add them into legend and wives tales. There are a lot of superstitions centred around cats, some color specific, some not, and some even contradict each other. Here are a few cat superstitions from various countries. In the Netherlands, cats were not allowed in rooms where private family discussions were going on. The Dutch believed that cats would definitely spread gossips around the town. All in all, none of these superstitions hold any value. Cats are animals that deserve our respect, love, and forever (inside) homes. Halloween is a fun season, but do not succumb to any pressure to treat these animals any differently because of these superstitions. 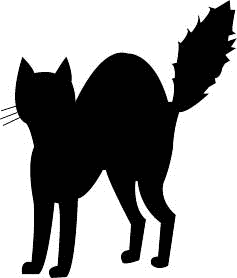 Sure, we all have that iconic black cat silhouette in our windows, or on our clothes, or in the cards we send, but it is all in good fun! Oh my gosh – I am so glad I found your blog! I just wrote a post about my three black kitties and I am so excited to see this post and read your blog. All the best!